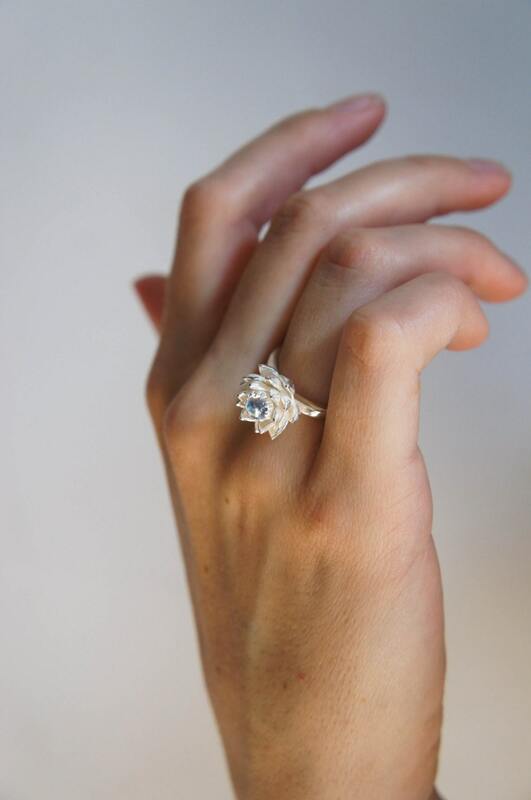 Lotus flower ring is hand-sculpted from silver sheet, it features several layers of petals and adorned with beautiful blue moonstone (or another gemstone by your choice). 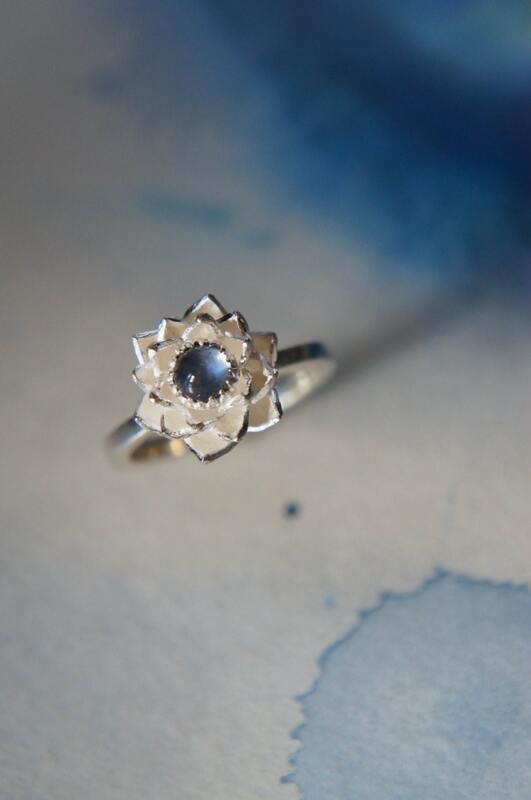 Edges of this sterling silver ring are polished, but flower inside has white matte color. 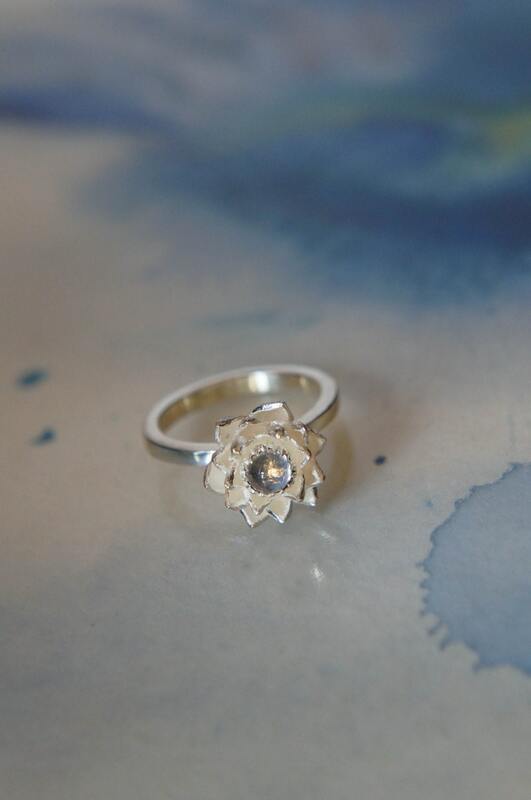 This floral jewelry piece will perfectly look as promise ring, engagement ring and will be great for everyday wear or any special occasion as well. 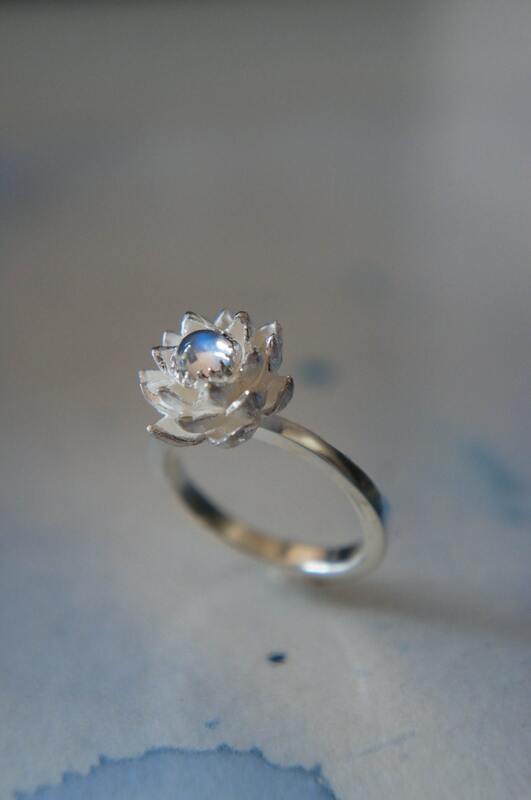 She will appreciate this unique ring as a romantic gift. Diameter of flower: 13-15 mm. We produce these rings in limited quantity each month. 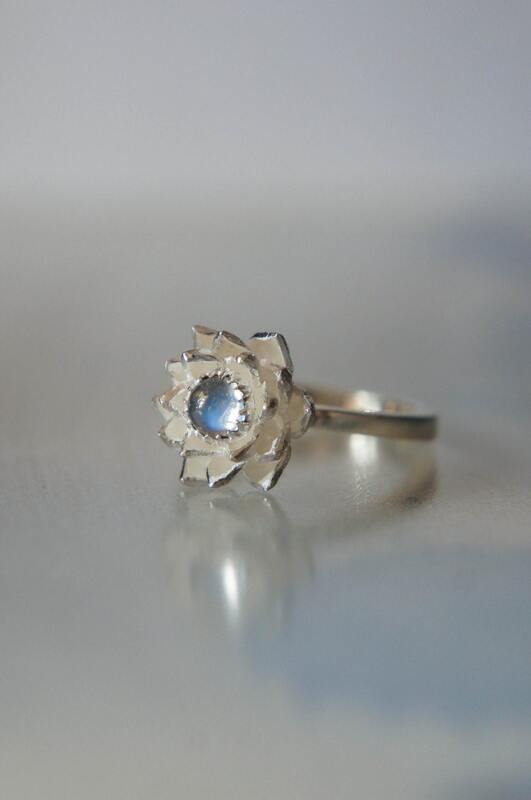 Blue moonstone ring comes in elegant black box and is ready to give. Another gemstones for this unique engagement ring are available by request.